I thought we’d go to Yosemite National Park today, because it’s a pretty incredible place. Like many Australians, we didn’t really know where to start in planning our visit to the park, and a lot of information we found online seemed to be more geared towards Americans, so here are some tips that I hope will help others make the most of their first visit to this gorgeous place. Drive. Well, fly to the general vicinity, then drive. If you fly into San Francisco, it’ll be about a 4 hour drive, around 5 hours from Los Angeles, or 7 hours from Las Vegas. It’ll really depend on how much you want to do – for a bit of a taste, 3 days is a good amount; if you want to do some camping and serious hiking, give yourself a solid week. You’ll need to consider the time and money trade off when you decide where to stay. The closer you are to the park, the more accommodatiom tends to cost. But if you go with something cheaper, it may add on quite a bit of driving time to and from the park each day. 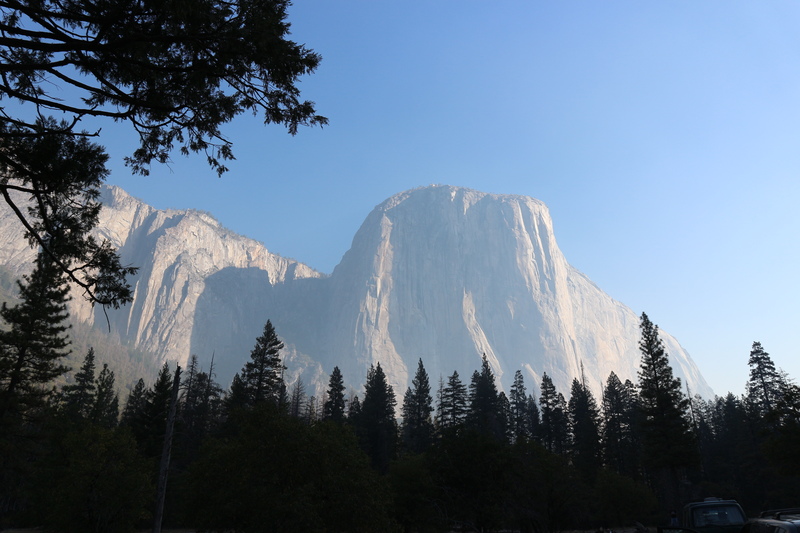 We stayed in the Yosemite Valley at the Yosemite Westgate Lodge – it took us around an hour to get to El Capitan, had a restaurant and laundry on site, and very big, comfortable rooms. If you’d like to camp within the park, head to the National Park Service website for more information. CAN I PARK MY CAR IN THE PARK? Absolutely – car parking areas are all well signed, and they have a free, eco-friendly shuttle buses to scoot you around between major sights. It’s best to check for road closures and snow chain requirements in winter online before setting off, too. Yes – you can buy a seven day pass from USD $30.00 per car from the entrance gates situated on all the roads into the park. 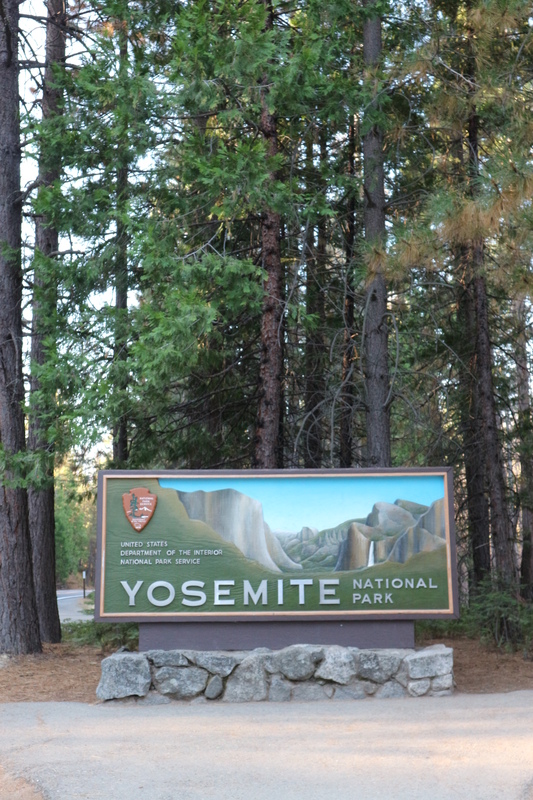 Basically, plug “Yosemite National Park” into your GPS and prepare to hand over $30 when you get close to the park! WHAT SHOULD I SEE IF I ONLY HAVE A FEW DAYS? 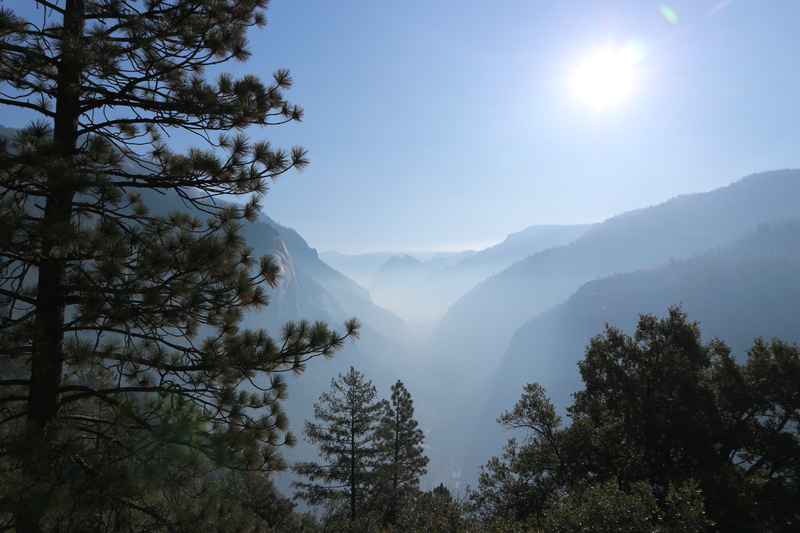 Day 1: Drive to the Yosemite Valley Visitor Center and leave your car at one of the parking lots in the area. 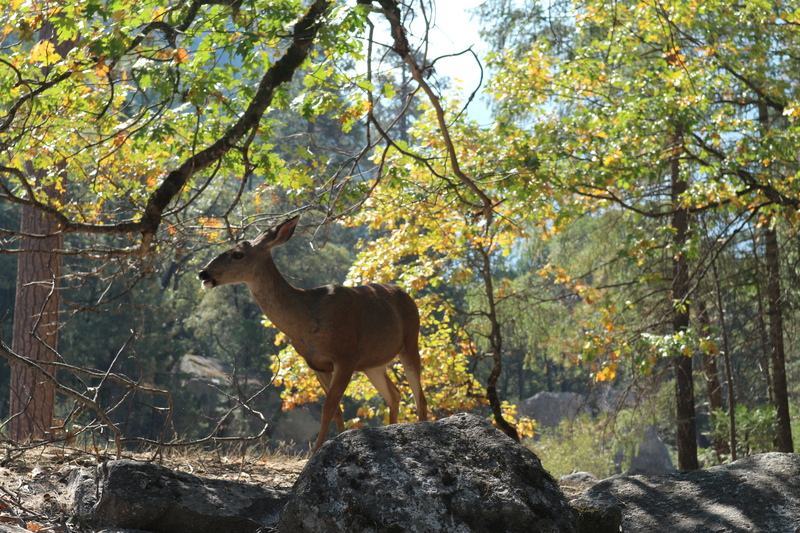 Between walking around and using the free shuttke, you’ll be able to see summits like the Half Dome, El Capitan, Eagle Peak and Sentinel Dome, walk along Tenaya Creek and the Merced River, maybe see some deer while you picnic at Mirror Lake, and check out the Yosemite Conservation Heritage Center. 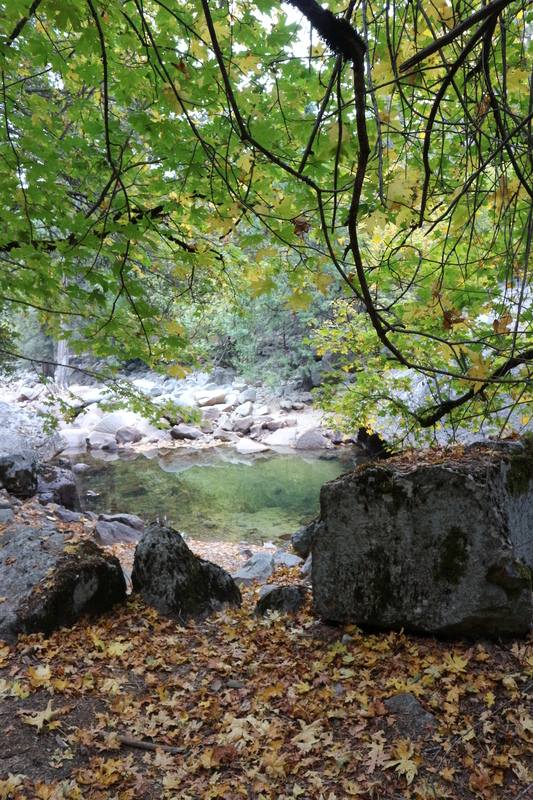 Day 2: Get into your car, stock up on snacks, and drive the Tioga Pass Road all the way up to Tuolumne Meadow and back. 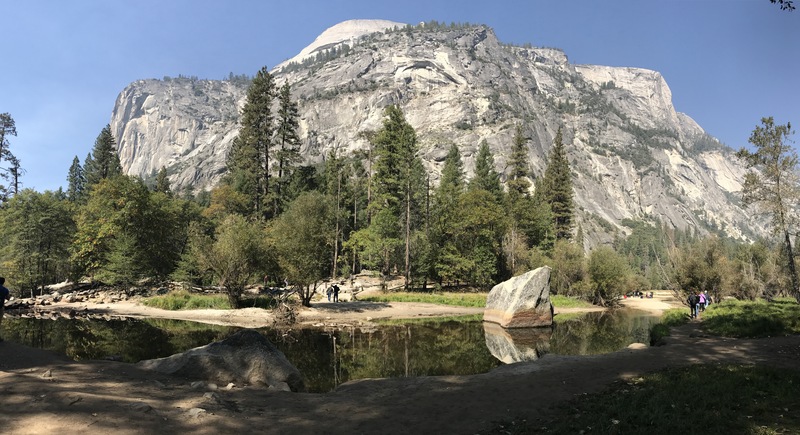 Make sure you’re wearing comfortable shoes so you can hike around Olmsted Point, and pack a picnic lunch to eat on the shore of Tenaya Lake. • Sunscreen. Always. And actually use it! • Sunglasses. When that sun hits white rock or reflects off the water, your eyes will thank you. • Layers. Just because the day starts cold, doesn’t mean it won’t heat up. Light layers are your friends. • Comfortable shoes you can walk all day on uneven terrain in. • A backpack – you don’t need to be toting a handbag around here. • A map. If you’re planning on hiking, you don’t want to rely on your phone – batteries die, signals are lost. If you intend on exploring, even a small map is a good idea. • A water bottle and snacks. You can of course buy it all there, but it’s always much cheaper to BYO. Just remember to take all of your scraps with you, because bears. Yeah, that’s a thing. All you really need to know is stick to the marked paths as much as possible, if there aren’t many other people around, make plenty of noise as you walk (they don’t like that), and when you’re done with your picnic, pick up any pieces of lettuce and ham that have dropped out of your sandwich, and dispose of all food waste in one of the many bear-proof bins you’ll find in the park.